Two things had been happening in the last couple of weeks. First of all, I found myself sleeping in quite regularly. Prior to going on our trip to Southeast Asia in November and December, I was regularly getting up at 6 am or earlier. Since getting back to Fort McMurray, I've been sleeping until 7 and 7:30. The second thing is that I find myself mindlessly scrolling through Facebook for way too many minutes every day. I thought of a way to get me out of bed earlier and make better use of my time. 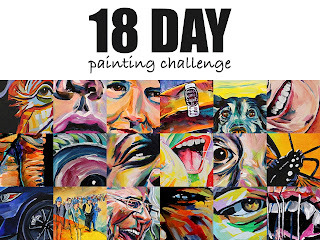 I am going to commit to doing an early morning 18 Day Painting Challenge. Artistically challenging myself has been super effective in the past. 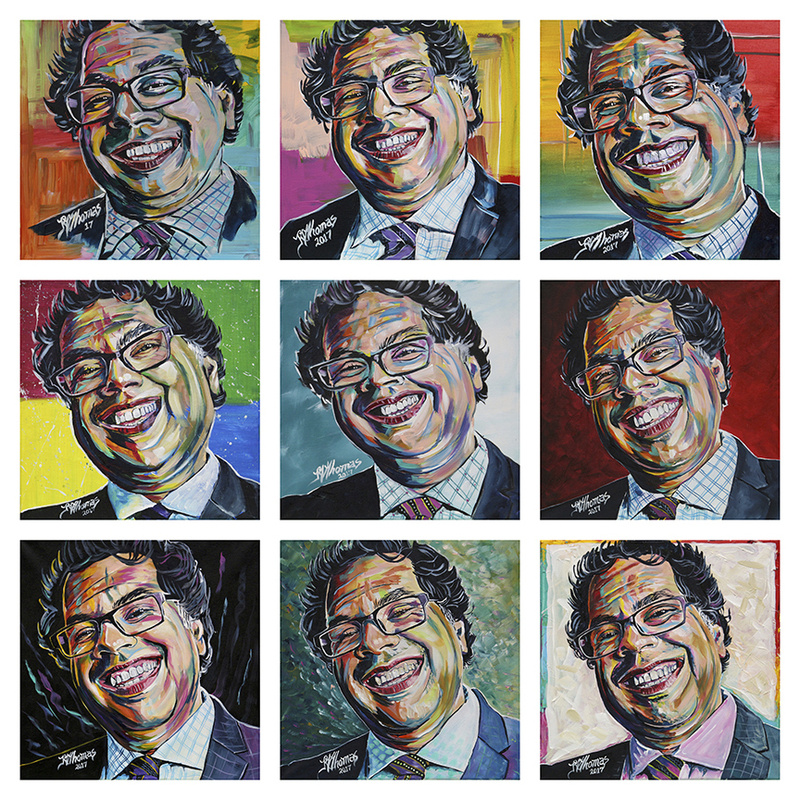 I decided to do "9 Days with Nenshi", for no other reason than it seemed like the right things to do at the time. I had playfully tweeted to him: "Warhol did soup cans, maybe I'll do Nenshis". His response back was classic: "You'll get bored real quick." 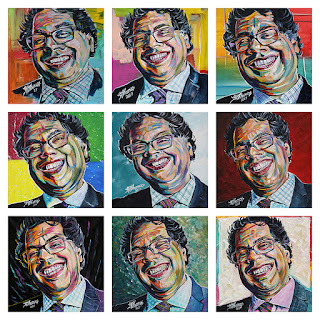 On the day of the opening reception of my Wildcolour Portraits exhibition at the MacDonald Island Community Art Gallery, I challenged myself to do 10 small portraits in a single day as a fundraiser for United Way. I didn't get to 10, but by the time I closed the studio around 4:30 pm that day, 9 portraits were done and ready for auction. Setting goals and accepting challenges is an effective way to force myself to try new things, improve my skills and create fresh new work. In this case, it will be a way to use my early morning time more effectively and produce 18 news works. It will also force me to work fast, which has always resulted in technique discoveries and fresh ways of doing things. 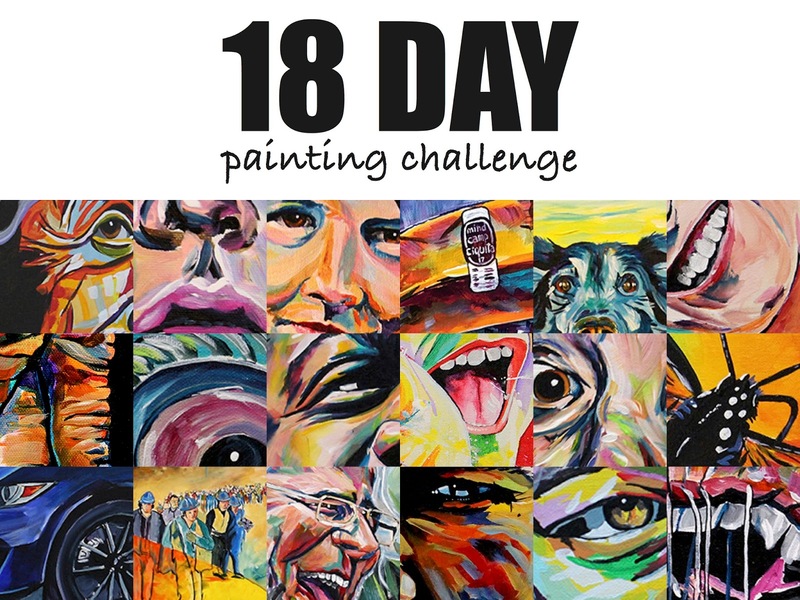 Each day I would randomly pick a prompt first thing in the morning and produce the painting before the start of my official painting day at 9 am. I would do this for 18 days in a row. 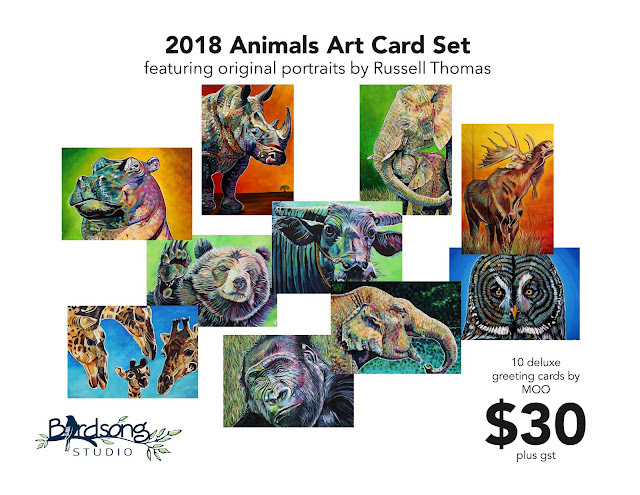 If you have a suggestion for a prompt, share it as a comment on this blog or go to my Russell Thomas Art Facebook page and do the same. 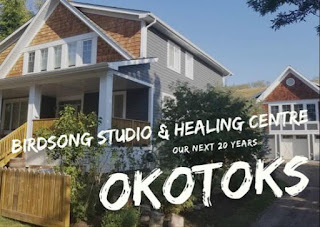 Alternatively, you can send me an email at russell.thomas@birdsongconnections.com. Thanks for your help.